This course has various start dates throughout the year and will take 12-16 months to complete. Learners should be at least 18 years old. You need to be employed within a Residential Childcare setting. As your programme may involve working with children, you will be required to undertake a satisfactory Disclosure and Barring Service (DBS) check. This qualiﬁcation is designed to build the knowledge and skills needed when working with children and young people from birth to 19 years. It covers a diverse range of job roles. Learners must achieve 61 credits. 53 credits must be achieved from Mandatory Group A. Learners must also complete a minimum of 3 Optional Units from Optional Group B, to achieve a minimum of 8 credits. The course is an E-portfolio using OneFile, access to a computer/laptop and internet will be required. If this is not suitable, a paper based portfolio could be accessed. 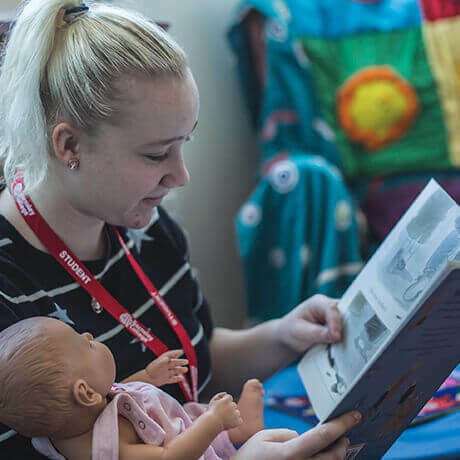 Learners can progress onto the Level 5 Diploma in Leadership and Management for Residential Childcare (England), or a Foundation Degree in a related discipline. • Managers, deputy and assistant managers in other adult or children and young people’s social care settings (further professional development/ qualification may be required once in post).